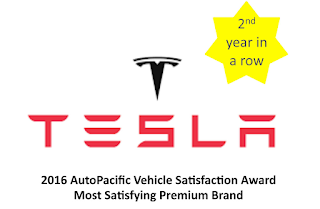 For the second year in a row, Tesla managed to maintain its position as the number one premium brand at the 20th Vehicles Satisfactions Awards by AutoPacific. 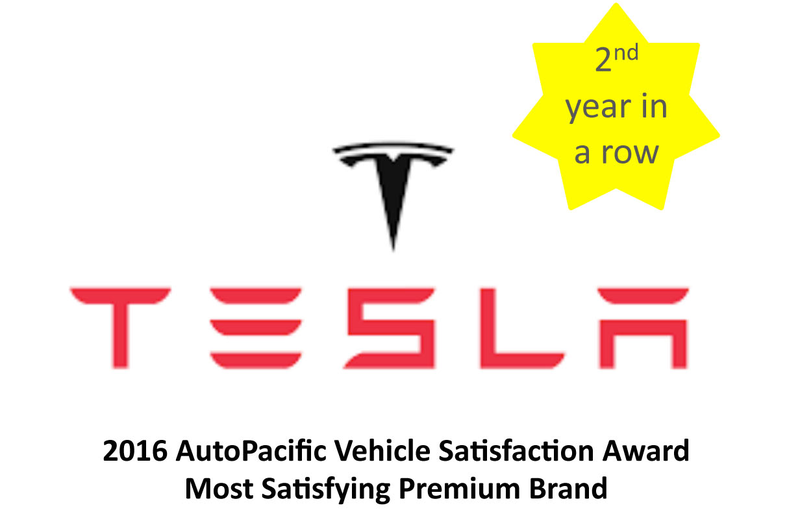 “Tesla was new to the survey results in 2015 and won the top premium brand award by a considerable margin (23 points). They hold the top spot this year, though Cadillac has closed the gap considerably with the highly satisfying Escalade and increases in owner satisfaction across their lineup,” explains AutoPacific president George Peter. Overall for 2016, General Motors received the most wins with 7, followed by Kia and Nissan each with 4, Mercedes-Benz with 3, and Hyundai and Toyota each with 2 wins. Volvo, Honda and Tesla each take home 1 win. AutoPacific chose the Cadillac Escalade as the President’s Award winner this year. This award is given only when the overall score tops the previous high score. The previous President’s Award winners were the 2015 Kia K900, 2014 Mercedes S-Class and the 2010 Hyundai Sonata. AutoPacific Vehicles Satisfactions Awards are based on how satisfied owners are with their new vehicle. Respondents rate 50 attributes for importance in the purchase decision and satisfaction after purchase. AutoPacific was founded in 1986 and is a future-oriented automotive marketing research and product-consulting firm serving the automotive industry with expertise in research, product development, product and market planning and marketing. Every year they publish a wide variety of syndicated studies on the automotive industry. Additionally they conduct extensive proprietary research and consulting for auto manufacturers, distributors, marketers and suppliers worldwide. AutoPacific is based in Tustin, California.